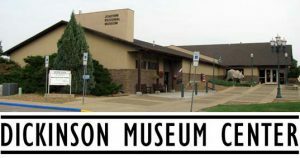 Dickinson Museum Center has 4 components for you to visit: Joachim Regional History Museum, Badlands Dinosaur Museum, Pioneer Machinery Hall, and Prairie Outpost Park. 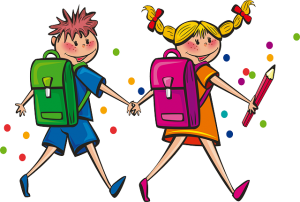 Dickinson Museum Center offers a discounted rate for school groups in grades K-12 who book in advance. The charge is $2 per student and $2 per chaperone, with up to 2 Educators getting free entry per class. We request that the chaperone to student ratio be at least 1:10. We cannot always guarantee a guided tour for your group. Groups of 25 or more will need to be divided into smaller groups in order to provide the best tour experience. The options for activities and tours that we can offer your group will depend on how much time you are able to spend here, what areas you want to visit, the size of your group, and the age of your students. In general, we recommend planning to spend at least 45 minutes per group per component. Please note that May is our busiest month for field trips and it is important to book your place far in advance. On most week days in May (Tuesday-Friday), we can accommodate one group in the morning (9:00-11:30 am) and one group in the afternoon (1:00-3:30 pm). 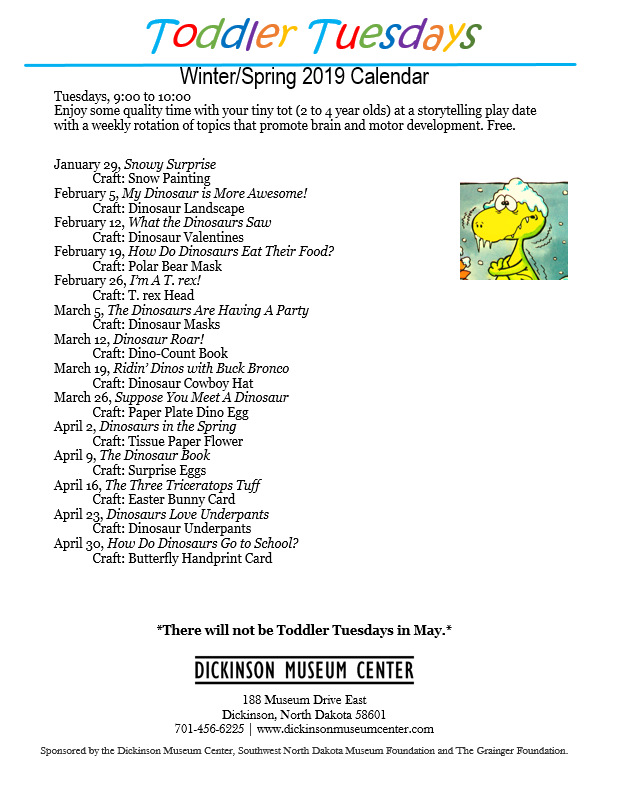 During other months, Toddler Tuesday occurs from 9:00 am - 10:00 am so we cannot book any groups during that time. A minimum of 2 weeks booking notice is required. If notice cannot be given this far in advance, we cannot guarantee any tours or specialized programming for your group. Your group is welcome to eat under the Heritage Pavilion in Prairie Outpost Park as long as it is not booked for another event. We do not have an indoor area for you to eat in. We do not allow gum, food, or drinks in the Museum. We also offer discounted rates for other groups that book in advance. Please call us at 701-456-6225 to discuss your visit and to reserve a day and time for your group at these discounted rates!